You have finally landed the Brick as an account and you need to get your product in their stores across Canada! The catch, however, is that you need to be EDI compliant and comply with the Brick’s EDI supply chain requirements. Where do you start? What do you need to know? This blog will touch on key information and business rules you should be aware of when undertaking an EDI initiative with The Brick. For starters, what is EDI and why does the Brick require it? Electronic Data Interchange (EDI) refers to the structured transmission of data between organizations electronically. Benefits of transmitting documents through EDI will be seen in many areas, including reduced time and payment delays, reduced labour costs, improved data and inventory accuracy, increased information accessibility, and ultimately, facilitated business activity. Once you set-up for EDI with The Brick, you will need to complete a testing cycle with their third party testing partner. It is quite common for retailers to mandate the testing process to a third party who will manage the testing of all required EDI transactions on the retailer’s behalf, based on the retailer’s specific EDI requirements and business rules. Having tested all the EDI transactions will ensure a degree of compliance once the supplier is fully deployed and in production. 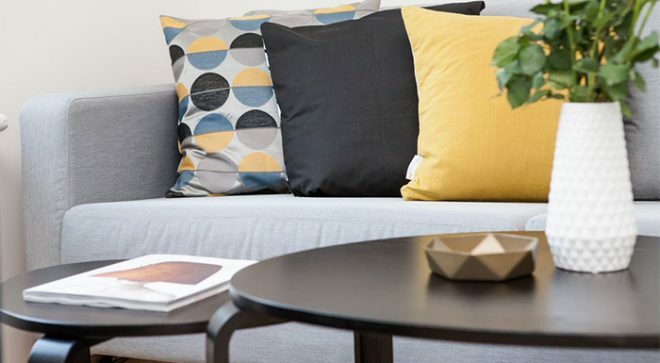 A supplier will not be moved to production, and therefore, will not be able to receive production purchase orders (EDI 850) until all the EDI transactions have been tested successfully and deemed compliant by the mandated third party testing partner. Depending on your in-house EDI capabilities, you will be able to either complete the testing directly with their third party testing partner, or opt to acquire the services of a third party EDI provider, such as EDI Gateway Inc for example, to handle the testing cycle on your behalf, using its fully EDI compliant tools. Third party EDI providers typically embed validation maps in their back end systems to allow the tools they use to detect non-compliance errors and, therefore, ensure that the outgoing EDI data that is transmitted to the retailers is 100% EDI compliant with the latter’s business rules and guidelines. If you are integrated or planning on integrating your EDI and using your in-house EDI system to transmit EDI documents to the Brick, we highly recommend familiarizing your team with the Brick’s vendor manual so to avoid unnecessary non-compliance charges. If however you are using a 3rd Party such as EDI Gateway, sending and receiving your EDI Transactions in a Web EDI portal such as Webgate+ will embed most validation for you. Once testing is completed successfully, the third party testing partner will coordinate with The Brick a go live date for EDI, at which point you will begin to receive production EDI 850s (purchase orders). The EDI 850 is a Purchase Order transaction set, used to place an order for goods or services. The 850 generally provides the same information you would typically find in a paper Purchase Order (PO) document. When receiving a Purchase Order (EDI 850), you must send back a Purchase Order Acknowledgement (EDI 855) within the time delay specified in your vendor manual. The 855 transaction is used by sellers to confirm the receipt of a purchase order (EDI 850) from a buyer, eliminating the need to call or fax a confirmation. The EDI 855 is transmitted with the intention of communicating to the retailer with an acknowledgement status for a purchase order (EDI 850) received, to either acknowledge as is, cancel or apply changes to the orders for each item. Once you have processed the Purchase Order Acknowledgement (EDI 855), you will likely receive a Purchase Order Change (EDI 860). The 860 is used by buyers to request a change to a purchase order (EDI 850) they previously submitted, or, as in this case, also to confirm the acceptance of changes made by the seller to the purchase order, as reflected in the EDI 855 (purchase order acknowledgement). Upon receipt of the EDI 860 (purchase order change), you will need to submit another final Purchase Order Acknowledgement (EDI 855), accepting the new changes, as communicated on the EDI 860. The Brick business rules require you to transmit a Purchase Order Acknowledgement for EVERY Purchase Order (EDI 850) and for EVERY Purchase Order Change (EDI 860) you receive. In addition, all Purchase Order Acknowledgement (EDI 855) must be sent prior to sending any Advance Ship Notices (EDI 856). These are very important rules to remember! What is Advance Ship Notice (EDI 856)? The EDI 856 transaction is utilized to electronically communicate the contents of a shipment to another trading partner. It is sent in advance of a shipment arriving at the buyer’s warehouse facility. It is essentially a detailed report of the shipment. The ASN (EDI 856) must reflect all the changes indicated on both the corresponding EDI 855 and EDI 860. The Brick uses an SOI (Shipment-Order-Item) ASN EDI 856 structure which means that the ASN (EDI 856) must reflect the contents of shipment, as opposed to the content of each carton shipped. For this reason, the ASN (EDI 856) structure does not include a PACK option, and subsequently, no MH-10/UCC-128 label requirement. 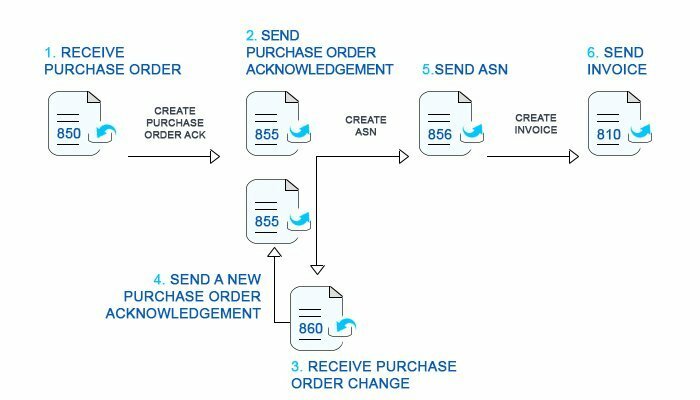 The Brick allows to consolidate multiple purchase orders on a single ASN (EDI 856), should you wish to do so. An important business rule to note is that all ASNs (EDI 856) must be transmitted and received by the retailer, prior to the goods being received at the retailer’s distribution center. Failure to do so will result in non-compliance charges. Examples of EDI non-compliance charges include late or no ASN (EDI 856), invalid or missing mandatory data. It is therefore imperative that you coordinate your ASN (EDI 856) your shipping logistics with your DC appointment, to allow for sufficient time to have your goods picked and packed, and your ASN created and transmitted to the Brick. The final EDI transaction to complete the EDI transaction flow with the Brick, is the invoice (EDI 810). The EDI 810 Invoice transaction set is the electronic version of the traditional paper-based invoice document. Payment processing of EDI 810 invoice is naturally faster than that of paper based invoice as data entry and manual processing is avoided. You can send an invoice (EDI 810) only once the corresponding ASN (EDI 856) has been transmitted to The Brick. The Brick will issue payment based on the EDI 810 you transmit. The invoices must reflect the ASN, in other words, the actual shipment. You cannot consolidate multiple purchase orders on the same invoices. Each invoice (EDI 810) must correspond to a single purchase order. Finally, you may only apply allowances to the Brick invoices; charges are not accepted. What is the allotted time to send an EDI 855 once the Purchase Order (EDI 850) or Purchase Order Change (EDI 860) are received? What is the allotted time to send an 810 invoice once the ASN (EDI 856) has been transmitted? How long before the shipment arrives at the Brick warehouse does the ASN (EDI 856) need to be received in The Brick’s EDI system? Will non-compliance chargebacks be incurred in case of late ASNs (EDI 856), incorrect SCAC code, etc.? How does The Brick communicate the errors when an EDI transaction is rejected? Having answers and access to relevant information, as well as business rules, you require will allow you to navigate through the challenging world of EDI with better ease. We trust that this blog has been informative and we wish you luck with your EDI initiative with the Brick! With over 16 years of experience in the EDI retail industry across both Canada and the U.S, Sharon Barr is part of EDI Gateway’s EDI lead team, where her lead role is primarily in EDI integration. This is Sharon’s first Blog! Hello 🙂 Thank you very much for your comment. Unfortunately, our theme is custom made. Have a nice day ! the views of all mates on the topic of this article, while I am also zealous of getting experience. site needs much more attention. I’ll probably be back again to see more, thanks for the info! Hello! Do you have any spec documentation for your 860 transactions in version 5010? Thanks! 🙂 I maintain such info much. I was seeking this certain info for a very lengthy time. See you around then !